AMIS Healthcare Business Management Suite for your healthcare management system will undoubtedly generate more positive results due to its most modern outlook on the medical industry and as pioneers in laying benchmarks in the healthcare industry. 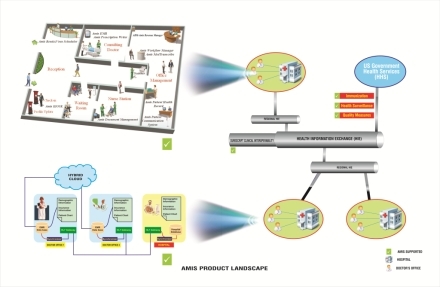 How does AMIS Healthcare Business Management Suite Help Make Your Practice Profitable? Improve office productivity through better accessibility and workflow. Thoroughly support billing claims with comprehensive documentation E&M Wizard suggests the most appropriate E&M code(s) based on the documentation. See more patients each day because of the ease of scheduling and charting. Reduce number of administrative overhead required to support practice. AMIS Healthcare Business Management Suite technology supports automation of clinical processes, thereby improving the productivity of organizations. Mundane tasks like manually pulling/filing paper charts are replaced by simply clicking a patient's name in the system. Integration with diagnostic devices enable users to feed lab, imaging and x-ray results and other findings directly into patient records, thereby eliminating the need to manage several kind of documents/forms - all coming from various locations. Financial reporting becomes a lot easier and customized by the use of AMIS Healthcare Business Management Suite its just a few clicks away. Another major benefit is having a medical billing software which includes improved patient security, achieving of 100% HIPAA compliance, improved collections, faster payment entry, improved front desk and back office efficiency and more. With successful implementation of AMIS Healthcare Business Management Suite, you can offer new services to patients, thereby attracting new business and reducing work load on your staff. Owing to the drastic reduction in paperwork enabled by the AMIS Healthcare Business Management Suite, physicians no more require a huge physical storage space. This translates to having more office space available for treating patients or accommodating additional staff. Advanced medical billing and coding procedures lead to improved and faster insurance reimbursements. Therefore, working in close proximity with your patient/s treatment plan, in tandem with submitting claims at the right time, can help you maximize your revenue. Reduction in paper costs, including stationary (charts, folders, paper, etc), copying, management (pulling/filling) and storage (office space, cabinets) is the outstanding benefit of executing AMIS Healthcare Business Management Suite. Practices can also minimize their transcription costs as AMIS Healthcare Business Management Suite provides you with easier means of documenting patient records and report writing. After becoming more familiar and efficient with your paperless medical office management software, you can save on the cost of hiring new employees. You can also maintain lower malpractice premiums by producing higher quality documentation and drug prescription alerts. In order to increase your profits, it is essential to take into account the new expenses that you will incur as a result of an AMIS Healthcare Business Management Suite implementation such as support contracts, computer maintenance and product updates. However, long term benefits promised by the program seem miniscule against these not-so-frequent expenses. Some benefits of AMIS Healthcare Business Management Suite are difficult to quantify - such as improved care, patient satisfaction, and office image are items that contribute to higher profits and also result in increased patient referrals and better patient retention. AMIS Healthcare Business Management Suite package comes with many in-built tools that help doctors in making educated decisions. These tools range from diagnosis to prescribing medications, from automated health maintenance reminders to treatment plan recommendations. 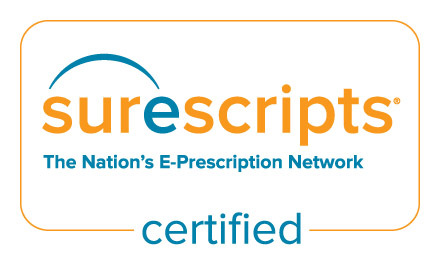 Most physician EMRs have in-house PDR-based medical dictionaries that give physicians Adverse Drug Event (ADE) alerts, generic drug and dosage recommendations. AMIS Healthcare Business Management Suite also provide decision-support in making treatment recommendations based on a patient's diagnosis. Empowered with computerized technology, AMIS Healthcare Business Management Suite permits multiple users to access patient charts at the same time. This feature ensures more accuracy as all information is entered in real-time. The Healthcare Business Management system are equipped with a security administration module enabling administrators to manage/restrict access to patient records by setting individual user permissions. AMIS Healthcare Business Management Suite allow physicians access to fairly more complete and legible patient records. One of the greatest advantages of having patient documentation digitalized is the ability to manipulate data for reporting purposes. This becomes very useful for research reports, statistics, drug recalls and patient marketing. Eventually, what can be greater than being to offer better patient care via your personal medical practice software. The medical scheduling softwares support interactive features wherein patients can even schedule/cancel appointments online from home or practically anywhere. Many doctors are now using internet to conduct web consultations. Being able to access patient data from anywhere in the world via a secure internet connection allows the doctor to conduct web consultations or generate reports from home or anywhere.